Thought of this the other day – so sharing it with you today. 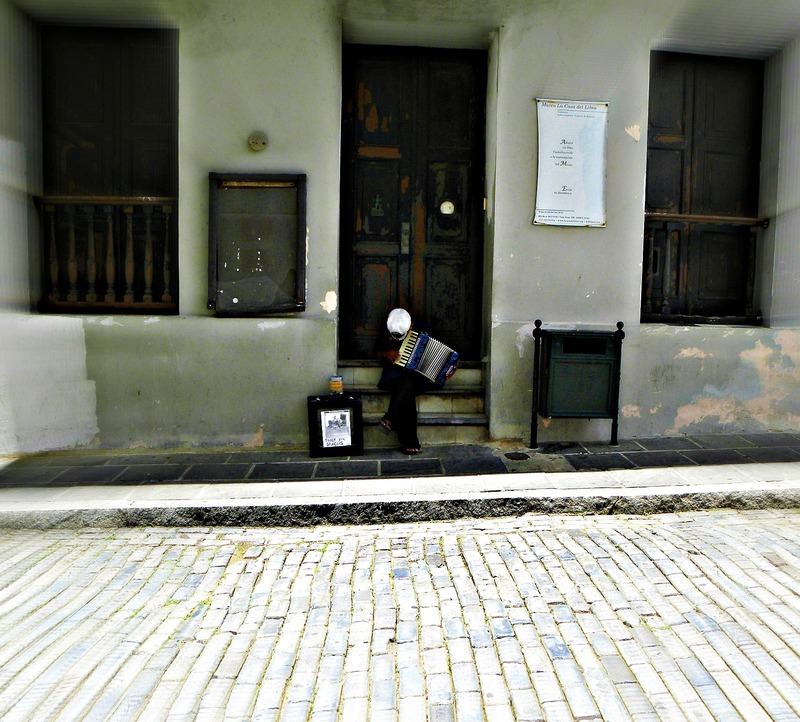 An accordion player on the street in Old San Juan. This entry was posted in Photo, Picture from yesterday and tagged accordion player, Found Round and about, music, photography, picture from yesterday, San Juan Puerto Rico, tisha clinkenbeard photography. Bookmark the permalink. Yes, the blue colors came out well. It was such a neat place to walk around and then seeing this musician playing added to the whole experience.